Research is an integral part of the academic environment of the Faculty of Medicine and Dentistry. 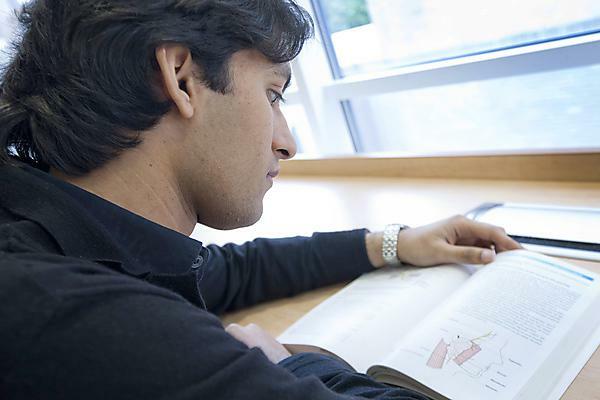 Research is an integral part of the academic environment of the Faculty of Medicine and Dentistry and informs the development, content and delivery of all our academic work including undergraduate and postgraduate programmes. View our research pages. There is a network of co-ordinated research activity within the Faculty and the University to help support and develop the programme. This includes a number of Research Institutes such as the Institute of Health and Community which includes the Biomedical Research Group which will help to develop collaboration and integration across disciplines and faculties and help support and inform the programme. See the whole range of Plymouth University research institutes for further information. Each of the centres work with groups in higher education, industry and the public sector, based in the UK, Europe and USA, on internationally recognised projects funded by competitive funding bodies, for the improvement of health today and in the future. In addition, health services research at the Faculty of Medicine and Dentistry consists of investigation of the ways in which health services are organised, delivered and experienced and how they could be made more effective. This work is carried out in a range of settings in primary and secondary sectors and is underpinned by methodological research and development and a strong research infrastructure. Researchers within this discipline have particular skills in evidence synthesis, clinical research, trials and evaluation and service evaluation. CAMERA (Collaboration for the Advancement of Medical Education Research & Assessment) is a new core research group within the Faculty of Medicine and Dentistry, which includes leading experts in education, assessment and innovation. If you participate you’ll have opportunities to attend research events, workshops and plenaries lead by the research groups. Participation in educational research is supported by the National Educators Conference for Junior Doctors and Medical Students which was held for the first time in June 2012 and is facilitated by the Academic Foundation Programme Trainees in the Peninsula.